Today social sites are very much important for webmasters as well as blogger. Because it has a great contribution on SEO. Social sites can influence the visitors to visit your site. But you may not have enough time to share your blog in social sites as you're busy with increasing your site's contents. Then go to your blog's layout option. Now copy and paste the following code in the gadget box. Now save the gadget and refresh your blog to see the result! Now, whenever you or someone else click on this like button it will be directly shared on the associated Facebook profile page. But he should be signed in with his Facebook Account. And you'll also get a comment box when you click on this button. By default your blogger blog doesn't have any numbered page navigation system. Instead of it the usual themes provide Newer Post, Home and Older post to navigate the site. But it will be very convenient for the visitors to navigate your site, if you place a page number navigation system at the bottom of your contents! In this post I'm gonna share a code with you. And this can turn your old navigation system into numbered navigation system! Hope this will help you lot. First go to www.blogger.com and open your dashboard. Customization of this Code: You can customize the above code as below. var numshowpage=10; here 10 is the number of pages will be shown. You can use 8, 12 or any number you want. var postperpage =7; here 7 indicates how many posts will be shown per page. Normally blogger blog shows 7 posts per page. If you wanna increase or decrease the number of posts per page then go to Settings > Post and Comments > Show at most (choose the number you want) > Save settings. var upPageWord="Previous"; var downPageWord="Next"; the words Previous and Next are the words that will be shown before and after the page number. Actually you don't need to change the word. But if you wanna use other language then you can do this. Blogger provides an easy way to insert a Google +1 Button on your blog page. You can add this by following some easy and simple steps. First you need to make sure that you're using the new style of blogger interface. If you're still using the old interface then change it from Blogger. Now go to the blogger home and hit on layout option. Now click on Add a Gadget button. Select a button from where you wanna place the +1 button. I prefer somewhere at the bottom. After hitting on Add a Gadget button you'll find a list of gadgets. Now hit on +1 Button. Here you can customize the button as you like. Now save it and refresh your blog page to see the result. The blogger and and web masters need to create thousands of back links in different sites or forums. And they don't need to learn how to create links in HTML or BB Code. 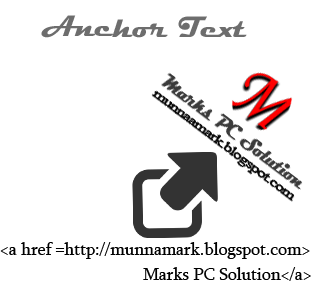 But some of you who don't know how to create HTML link this post is for them. Most of the FB users don't like timeline. Thought it is easy to view a profile on the basis of time but it is not user friendly. You may find several ways to remove FB timeline. But I think the easiest way is the following one. First, make sure you're using Firefox, Google Chrome, Internet Explorer or Safari. Now at scroll down and make sure that timelineremove.com has identified your browser. Then look at the right panel and find How to Install Extension. Under this you'll find a button named CLICK HERE . Click on it. Then save the extension. If any permission required then allow it. If you're supposed to restart your browser then restart it. Now go to your Facebook Page and see the magic! Sometimes you may not want your friends to access your files and folders. Or you may like to hide a specific drive or all drives of your hard disks. And this trick will also help you to make your friend surprised! Open Run or Press Windows Logo + R.
Now type gpedit.msc and press Enter. Then hit on Administrative Templates from the left panel located under User Configuration. Double Click on Windows Components and find Windows Explorer then open it. Now find and open Hide these specified drives in My Computer. Click on Enabled and select Restrict All Drives or the drive you wanna hide and hit OK. If you again get them back, then follow the above steps. But in the 6th step select Disabled or Not Configured and then Apply ==> OK. Now check My Computer. If the drives are not shown then restart your PC. Note: This tricks is for your computer security. You can also surprise others. But don't try to harm people or don't make them scared. In my previous post I showed how to use Google as calculator. 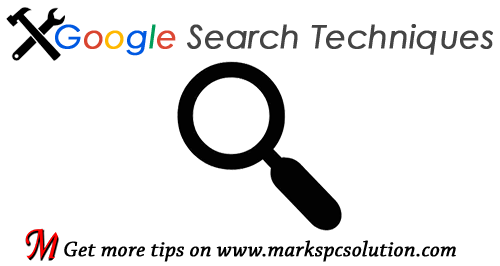 In this post I am gonna write about different ways to search Google. Certainly these techniques will help you to make your search result better than ever. So, let's try the searching techniques. To see the precise times of sunrises and sunsets for many U.S. and worldwide cities, type “sunrise” or “sunset” followed by the city name. To know more about calculator, click here. If you’re looking for results from Google Book Search, you can enter the name of the author or book title into the search box. Then, click on “Books” from the left-hand navigation to view book content. You can click through on the record to view more detailed info about that author or title. To see information about recent earthquakes in a specific area type “earthquake” followed by the city and state or U.S. zip code. For recent earthquake activity around the world simply type “earthquake” in the search box. If you’re looking for someone you just met or a long-lost friend, enter the name of that person plus some identifying words about him or her to see a list of people with that name. To find reviews and showtimes for movies playing near you, type “movies” or the name of a current film into the Google search box. If you’ve already saved your location on a previous search, the top search result will display showtimes for nearby theaters for the movie you've chosen. To see information about a common disease or symptom, enter it into the search box and we’ll return the beginning of an expert summary. You can click through to read the entire article. To see information about most generic and brand name prescription drugs in the U.S., enter the drug name into the search box, and we’ll display a summary and description of that medication. You can click through links from the National Institutes of Health to get more information about side effects, how to take the medication, precautions, dietary instructions, and what to do if you miss a dose. You can quickly find the U.S. poison control hotline (1-800-222-1222) by entering “poison control” or similar phrases into the search box. During flu season, search for “flu” to find tips on how to stay healthy from U.S. Health and Human Services and a flu shot locator which uses Google Maps to show you nearby locations offering seasonal and/or H1N1 flu vaccine. To search for U.S. patents, enter the word “patent” followed by the patent number into the Google search box and hit the Enter key or click the Google Search button. The above information were taken from Google Search Features.